Just two on this week’s Sunday Lust List, but two fabulous corkers nonetheless. 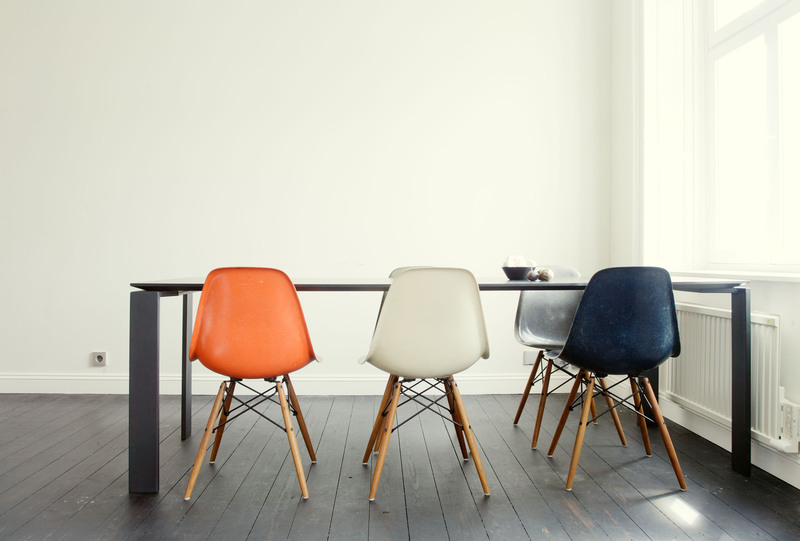 Originally designed by Eames for the International Competition for Low-Cost Furniture Design, the Eames DAW & DSW chairs have become an absolute icon in furniture. Their functional, utilitarian but most importantly comfortable design render them the perfect piece. The DAW chair has arms, the DSW is the standard ‘laundry’ chair and the RAR is the rocking model. 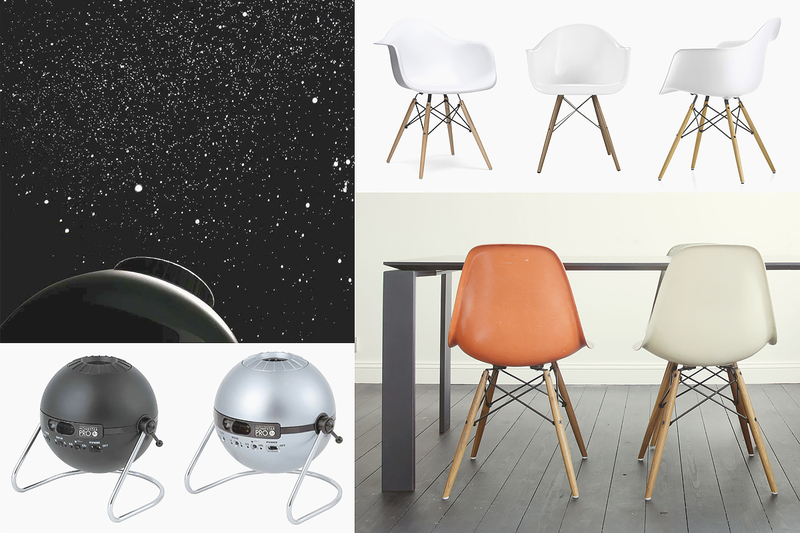 Now, a real Eames chair (DSW) will set you back £332 here from John Lewis, but you should know by now that the Sunday Lust List is a place for real bargains. You can pick up a knock-off but virtually identical version (and here) of the DSW/DAW for £27.99/£30.99; the DAW for £39.99 and finally the Rocking RAR for £39.99. They look pretty good, they’re the matte effect versions (some are shiny and cheap looking from others) and the seller has 100% positive feedback. Might be worth a punt? Check them out here. This is the coolest thing ever! I was bored and flicking through Amazon a few weeks ago, came across this and was blown away despite its rather hefty price tag of £114. If like me and your ceilings are rather high and vast, or even if they’re not I suppose, this projector from Japanese company Sega Toys will display true to life constellation and animated shooting stars all over your room. As I’ve not seen it up close and personal, the review in the YouTube video above gives great information! This article first appeared on MANFACE written by Thom Watson. It was published on Sunday 24th May 2015 and was last updated on Monday 3rd April 2017 at 1:27pm. It's categorised under Sunday Lust List where you'll find more related content.